On October 1, 2018, Alejandro Cerezo Contreras was deported from Panama City when he had a layover in the city on his way to the city of Asunción in Paraguay. The human rights defender had been invited to participate in the Third International Seminar about Protection Mechanisms for Human Rights Defenders: Between Commitment and Risk. Alejandro Cerezo is a member of the Comité Cerezo Mexico and coordinator of Urgent Action for Human Rights Defenders (ACUDDEH). This organization documents human rights violations against human rights defenders and promotes public policies for holistic protection. 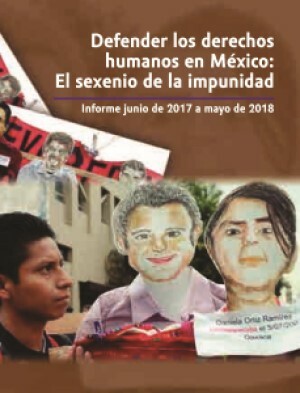 The deportation of Alejandro Cerezo has been considered by the Red Eulat and other international organizations as an act of criminalization against his work, that took place a month and a half after the publication of the report, "Defending human rights in Mexico: the government of impunity." This report revealed that from 2006 until May 2018, 228 human rights defenders have been killed and 165 forcefully disappeared. This act has also been linked to previous human rights violations against the Cerezo Contreras brothers. In August 2001, Alejando Cerezo was arbitrarily detained and sent to the Federal Social Re-adaptation Centre No. 1 "El Altiplano" where he was tortured together with his brothers Antonio and Héctor Cerezo Contreras. The authorities accused them of being responsible for or having participated in the attacks against private property of banks in Mexico City. After three and a half years of arbitrary detention, Alejandro Cerezo obtained his liberty on 1st March 2005, exonerated of all charges and accusations. The Espacio OSC publicly solicited that the Mexican State erase information referring to the previous criminal charges of the defender. It is worth highlighting that this is not the first time Alejandro Cerezo finds himself up against obstacles that restrict his freedom of movement. In 2012, traveling to Germany in order to receive the Aquisgrán Peace Prize in recognition of his work defending human rights, he had to wait until the airline received the authorization before he was allowed to board the flight and fly over US air space. The same happened on the return flight. Alejandro Contreras has precautionary measures from the Inter-American Human Rights Commission.